Every so often, Lush decides to discontinue a bunch of their products to allow them to make room for new products. Even if that means having to sacrifices some fan favourites. When I heard that Lush was planning to axe a lot of their products, I wasn't too worried because I didn't think they'd get rid of quite so many, or what I thought would be best sellers. Well, I was wrong, as they actually removed more than 50 products from shelves and in store, including fan favourites such as Fizzbanger Bath Bomb, Frozen Bath Bomb, Blackberry Bath Bomb, Lava Lamp Bath Bomb, Big Bang Bubble Bar, Pink Flamingo Bubble Bar, Popcorn Lip Scrub, Strawberry Feels Forever Massage Bar, Refresher Shower Jelly and my all time favourite Lush product, The Comforter Shower Cream. All of these products were on my ‘to buy’ list, but by the time I got to the store, only three products on my list were left; The Comforter Shower Cream, Popcorn Lip Scrub and the Frozen Bath Bomb. To see the full list of discontinued products, look here. I can't express how I gutted I am about The Comforter Shower Cream being discontinued, as it was my favourite Lush product ever. I actually intended to buy the 1kg size of this, but by the time I got into the store, the 500g was the biggest size left. I'm pretty sure if you're a fan of Lush, you'll have smelt this, or at least it's bubble bar counterpart, The Comforter, which is thankfully still safe, for now anyway. A gorgeous berry and vanilla scent, which was perfect no matter the weather or the condition of my skin, what wasn't to love!? 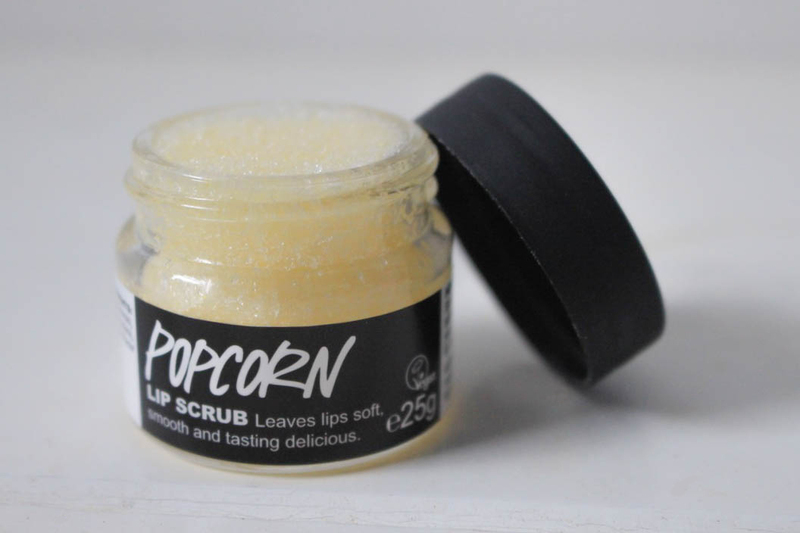 Another product I snatched up before I couldn't any longer was the Popcorn Lip Scrub. Again, this was one that I was surprised about because it's been in Lush for as long as I can remember and a staple product for many people. A beautiful salted caramel like taste, it sloughed any dry, chapped skin away, allowing lips to be smooth and replenished due to the coconut oil blend. Finally, the Frozen Bath Bomb, delighted about the fact that it was named after Disney’s Frozen, it was a fairly recent addition to Lush, which is why I’m surprised it’s going too. A dreamy floral scent with a touch of citrus notes that creates beautiful swirls of sky blue and white, with an iridescent silver shimmer when dropped into the bath. Although I do love seeing what new Lush products are being released, especially with Halloween and Christmas being just around the corner, I am pretty sad to see a lot of these products go. If you are looking to pick any of them up, I recommend that you do it quickly, as they won’t be around much longer. 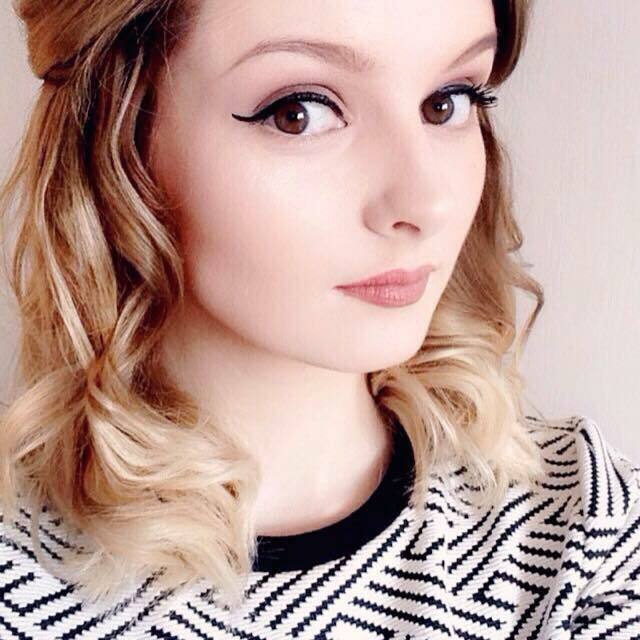 Do you have any favourite Lush products that were discontinued? Let me know in the comments! So shocked that they're getting rid of Blackberry, it was the first ever bath bomb from Lush! I love to discover new products and of course it is sad to see a loved product go, but isn`t it fantastic to discover the new products?